The Fun House Jumper provides a great bouncing time. This bounce house is the perfect way to combine a fun and healthy activity. 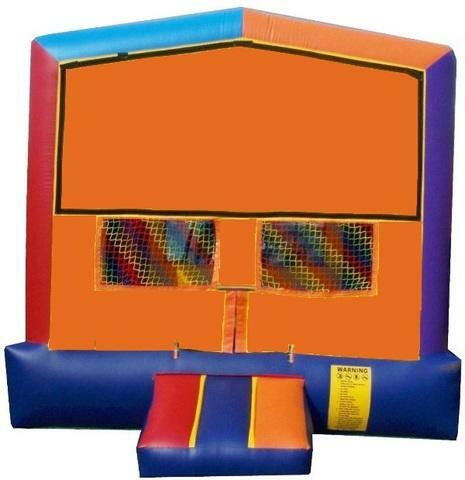 A jumper is great for any party, corporate and company event, fair, carnival, church event, fundraiser, school event, park event, block party, and any other event. The Fun House Jumper adds value to any party and keeps kids entertained for hours! This jumper has 360-degree windows, so adults can have a clear view of the fun. Our moonwalks are made with safe, lead free vinyl. Licensed, Insured, Park Approved, and a PTA Preferred Vendor. Outstanding customer service and safety record. Customer service oriented office and delivery staff. On-time delivery - you will feel confident that we will be on-time to provide the fun. Professionally cleaned, sanitized, and maintained inflatables. Events and party rentals in the greater Orange County, CA area. Secure your date - ORDER NOW!